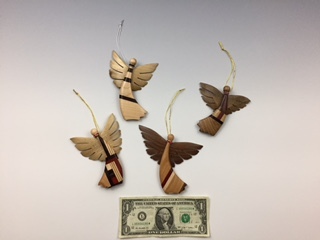 Ornament Sized Angels - Laminated Laminated ornament size angels. 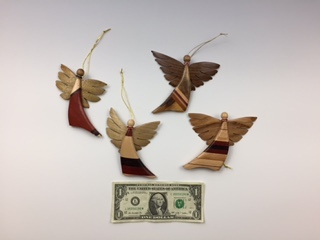 Assorted laminated hardwoods in three shapes. 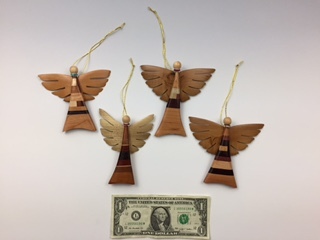 Approximate size 4" x 3" x 1/2". Each one is unique - call for a photo of current selection or let us pick for you.